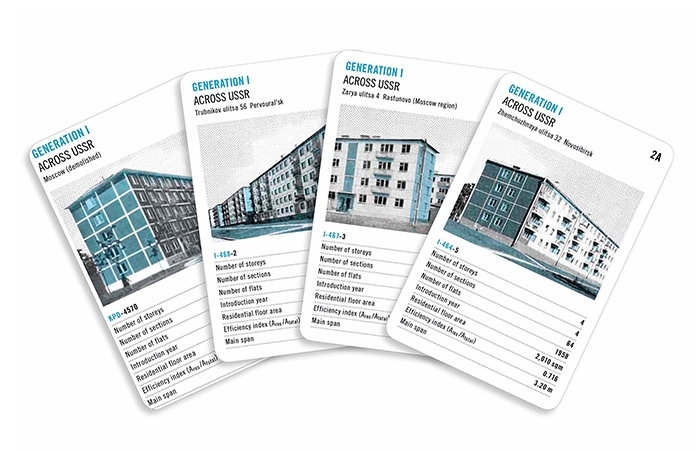 The deck which comprises 37 cards - with each card featuring one image - documents serial mass housing in the Soviet Union that was created on the basis of standard designs. 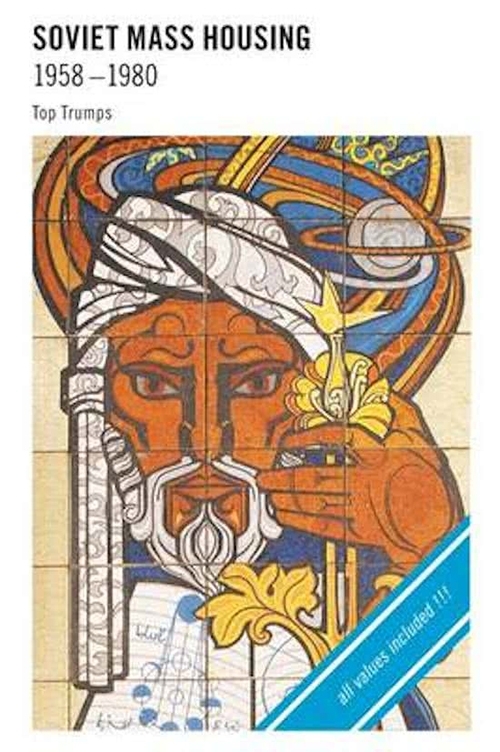 At the same time, it provides the main characteristics of the images depicted in a playful manner. The selection offered represents the various generations and thus helps us to understand the development of standard designs. 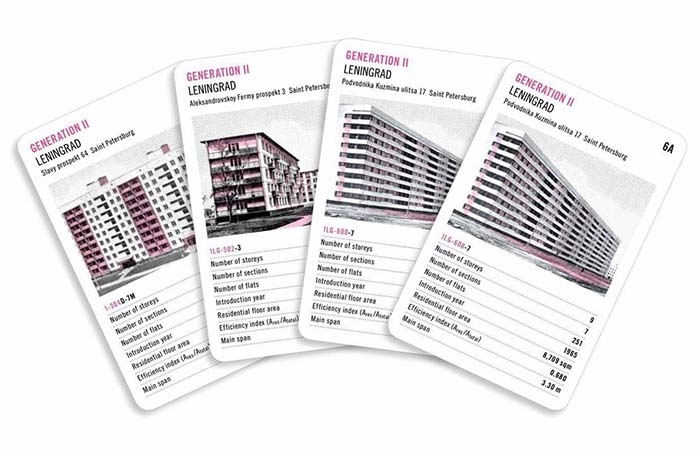 37 cards, with each card featuring one image, and one cover sheet with instructions printed on the back. 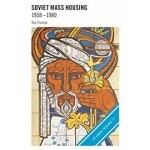 One instruction leaflet with useful information on serial mass housing in the Soviet Union 1958 - 1980. Card format 65 mm x 100 mm. Case ca. 111 mm x 76.5 mm x 18.5 mm, made of glass-clear polystyrene. 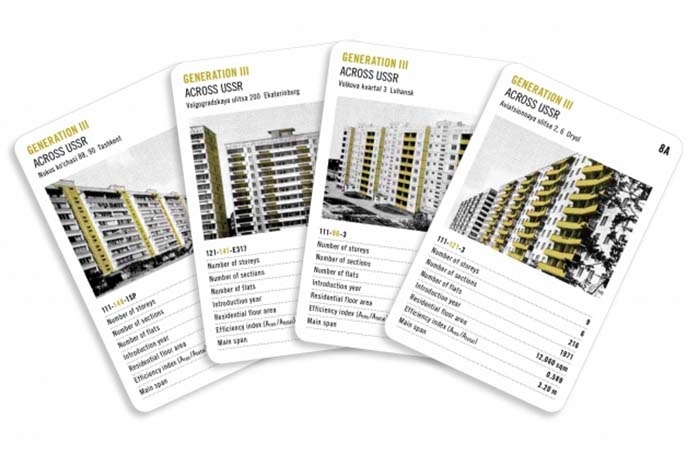 Cards made of 315 g/m2 cardstock, lacquered on both sides.